The Fitzroy River Lodge is the perfect place to make your base while you explore the many vibrant and exciting things to see and do around the place. 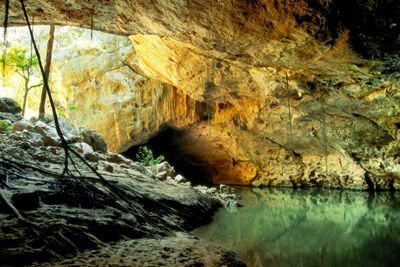 The town of Fitzroy Crossing itself has a very real Australian character and charm, with much for the dedicated (or casual) historian to see and discover. 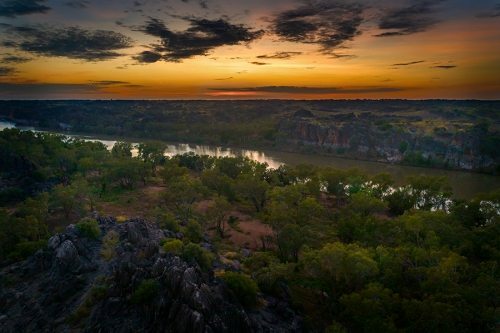 The Fitzroy River itself is a sight to behold, with wild life abounding everywhere and some superb boating and fishing opportunities. Barramundi makes a specially good catch, and the Fitzroy River is world famous for it! One of several choices, the Department of Parks and Wildlife provide a wonderful guided tour of Geikie Gorge National Park, where the immense scale (particularly when flooding) will amaze you. The freshwater crocodiles that line the river will watch you warily, and the tour guides will happily point out to you much of their lifestyle as you journey through their natual habitat. 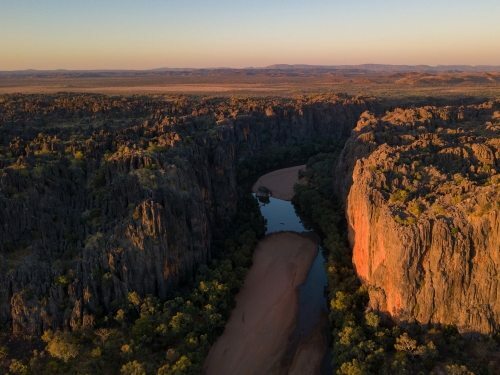 Once you decide to range a little further from town, Windjana Gorge and Tunnel Creek are spectacular destinations, with geography and sights not found anywhere else in the world.